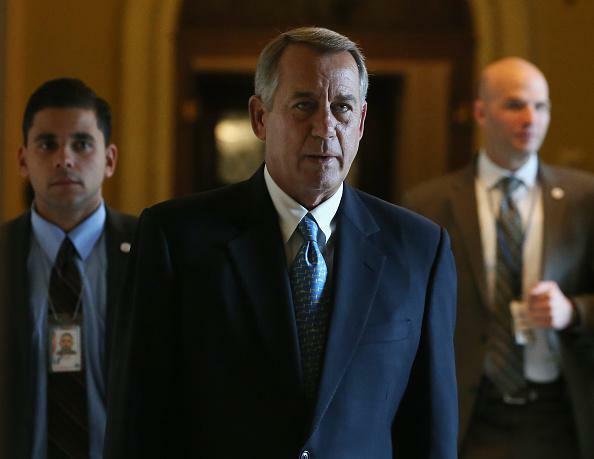 House Homeland Security shutdown avoided: One-week extension approved. House speaker John Boehner in a photo taken Friday. A majority of Democrats joined Republicans to vote for the short-term fix, after House Minority Leader Nancy Pelosi (D-Calif.) told her colleagues that the passage of the one-week resolution would assure a vote on a full funding bill next week. Democratic leadership aides said they were assured that the House would take up a full-year funding bill next week if they helped pass the one-week continuing resolution on Friday. Boehner spokesman Michael Steel insisted that no such promise had been made. The Senate, which has already voted overwhelmingly to fund DHS through September without any immigration-related conditions, also approved the one-week extension.